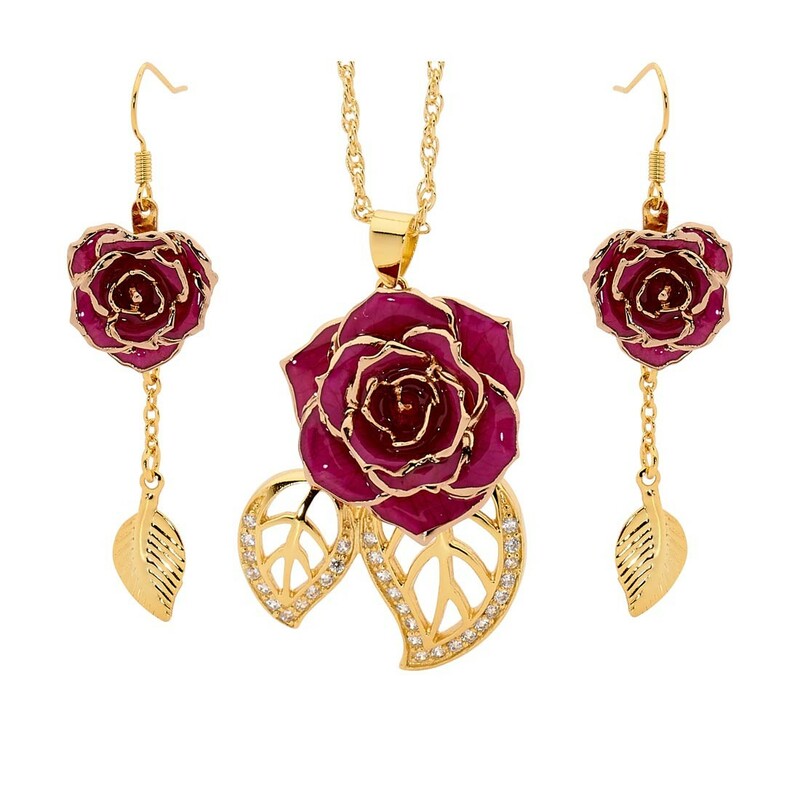 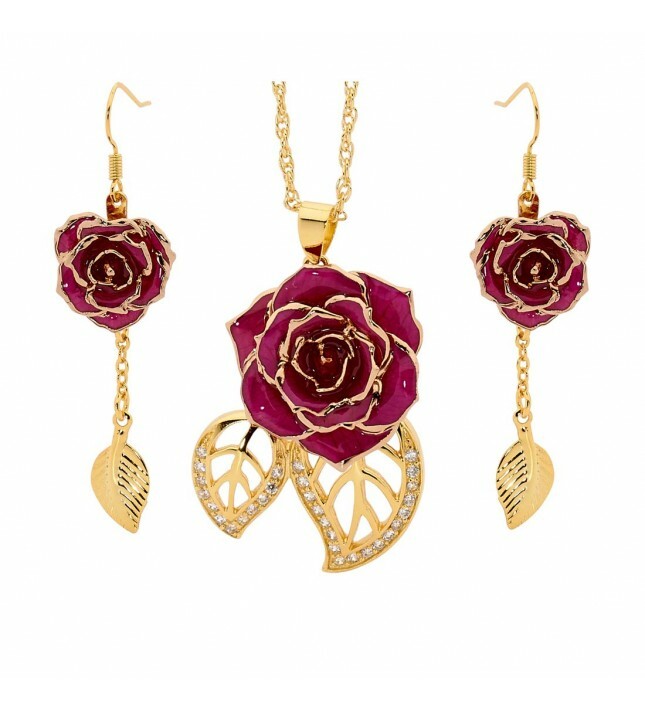 This beautiful matching set comprises a glazed rose and elegant pendant and earrings set created using real natural purple rose petals accented with 24 karat gold. 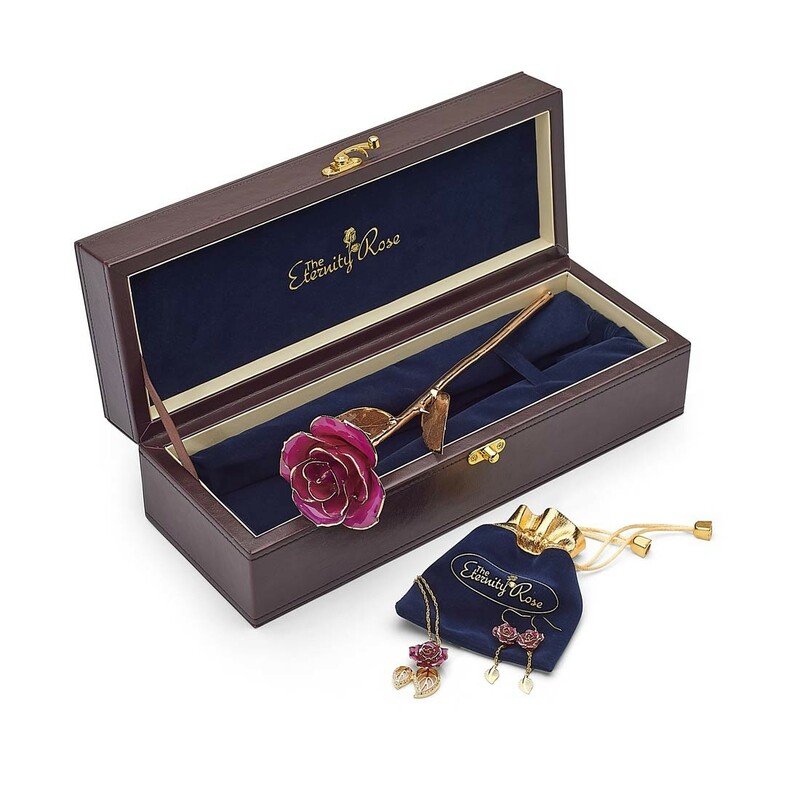 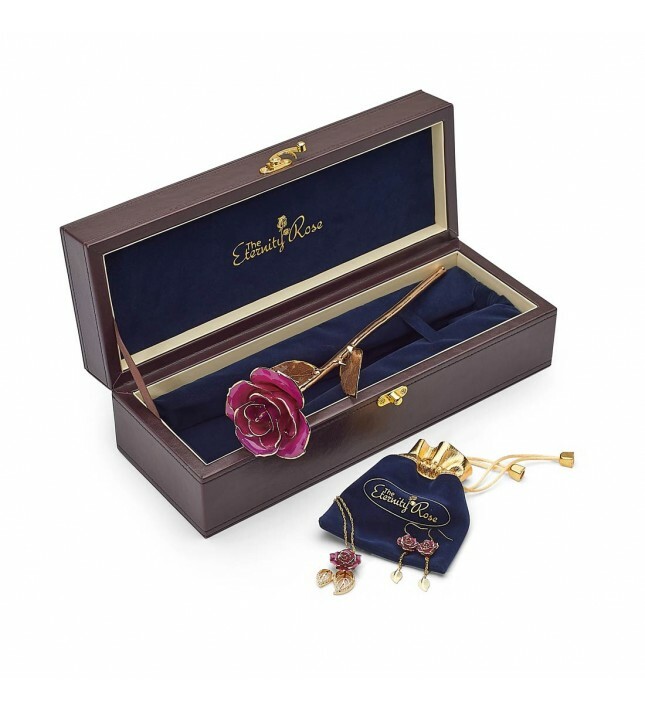 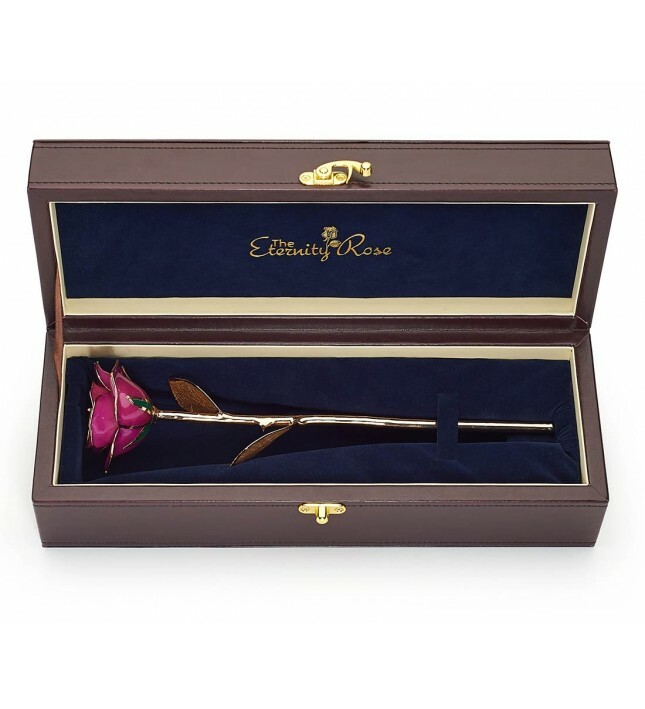 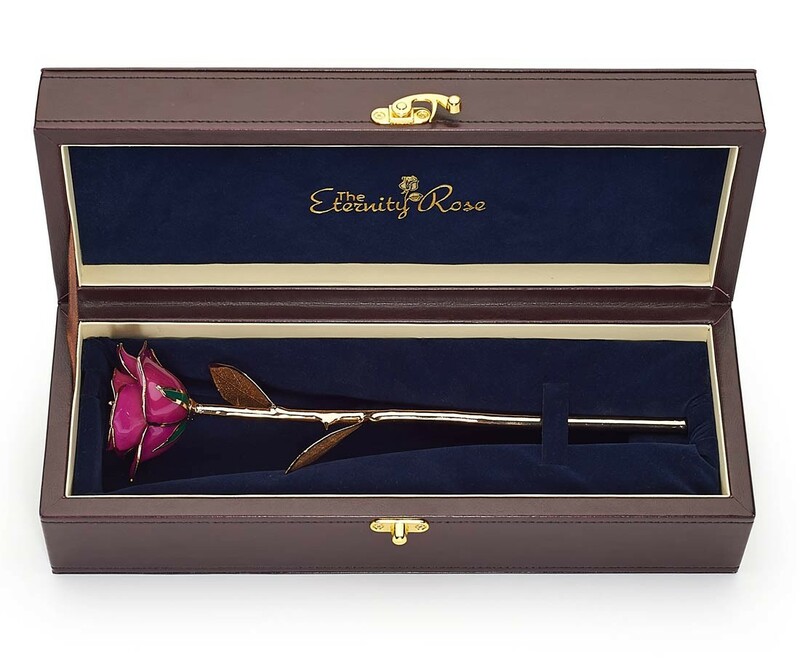 The glazed purple rose is beautifully presented in a high quality leather display case with a sleek velvet pouch containing the jewelry tucked inside. 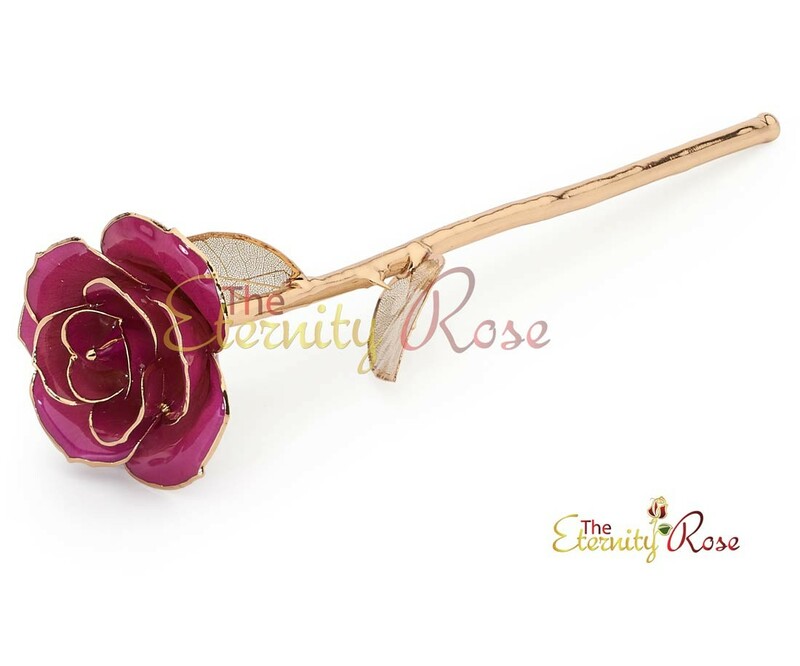 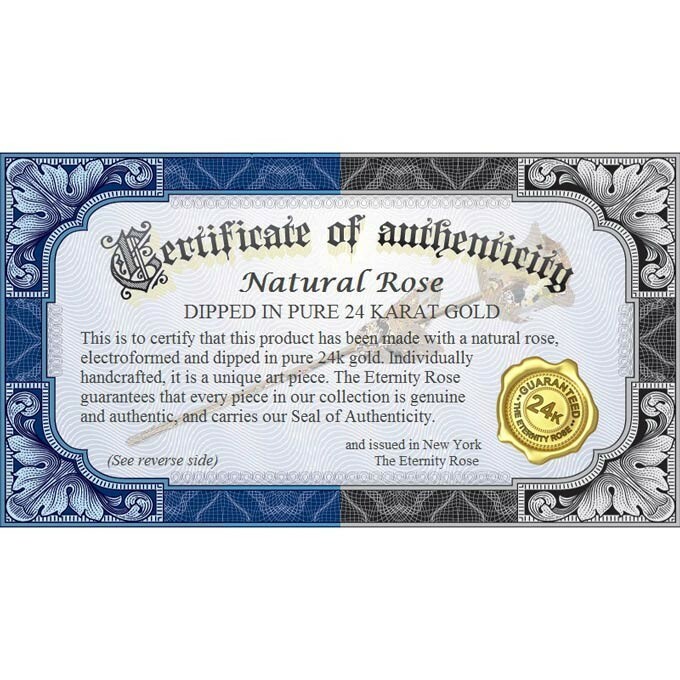 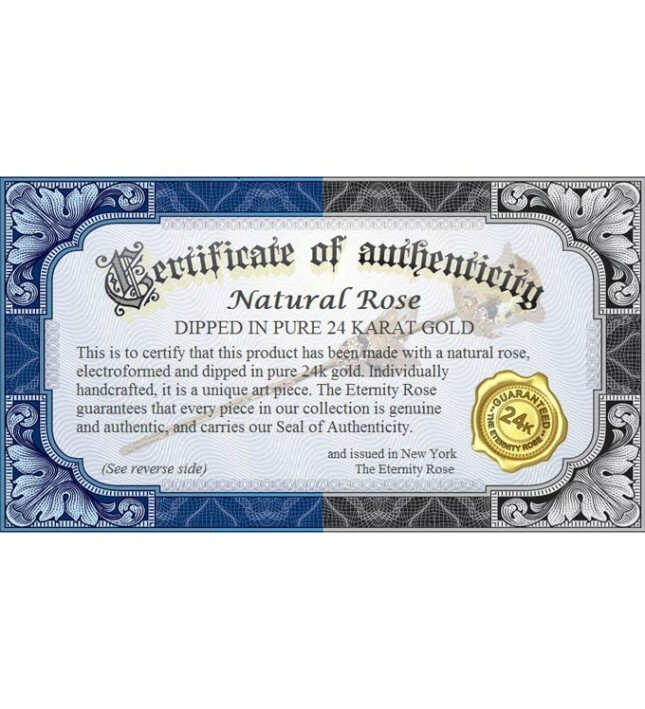 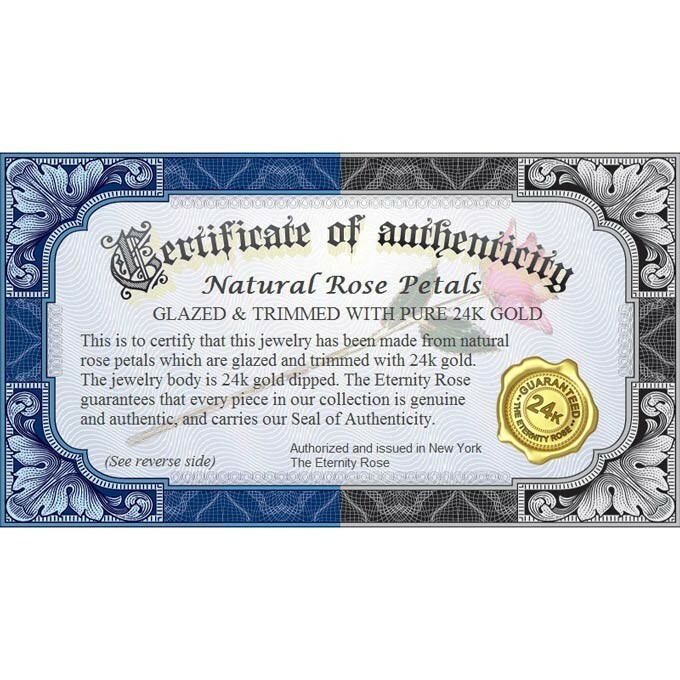 A perfectly preserved and glazed natural purple rose featuring pure 24 karat gold trimming. 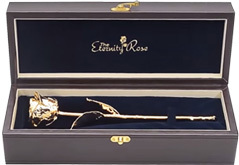 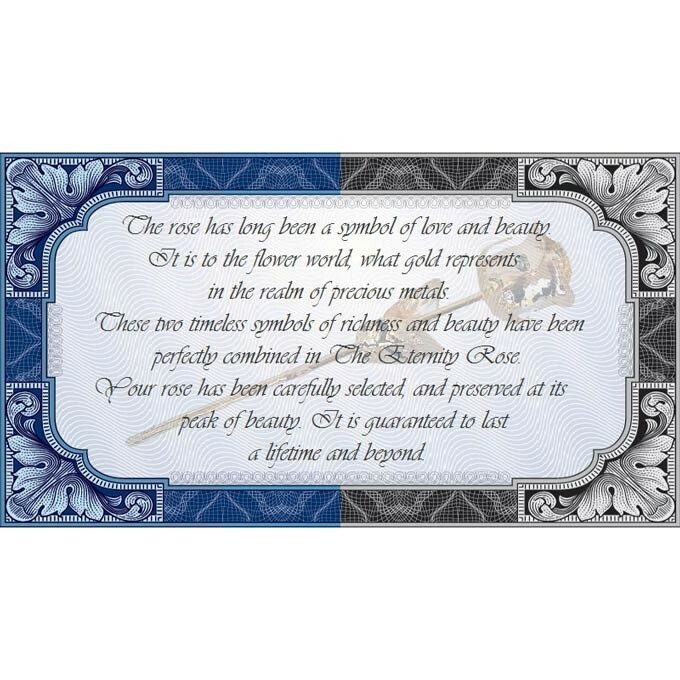 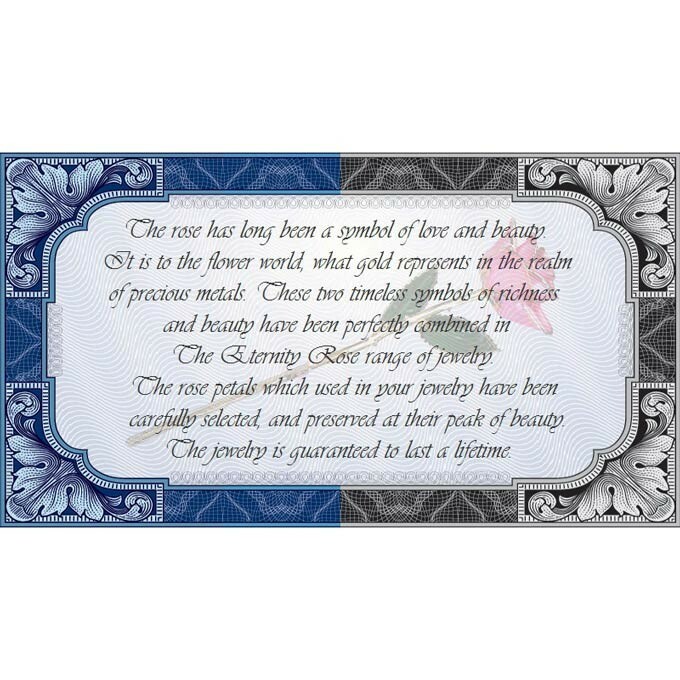 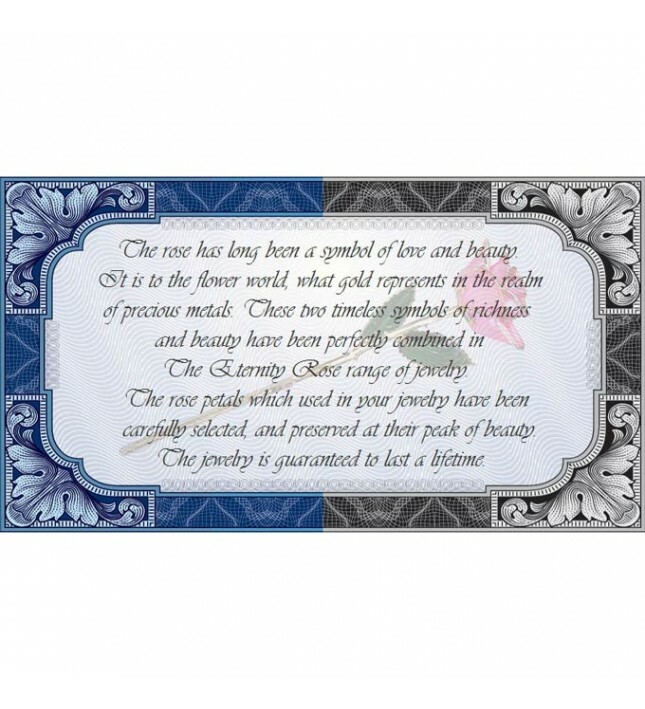 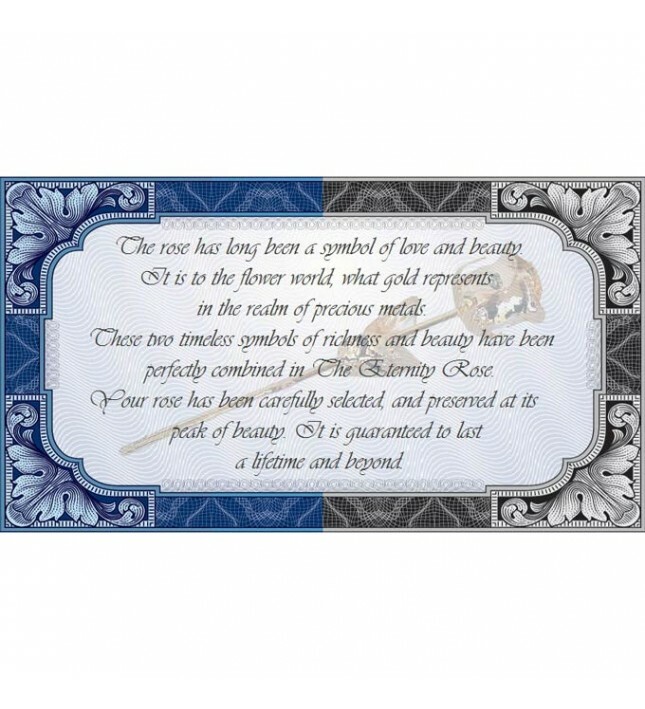 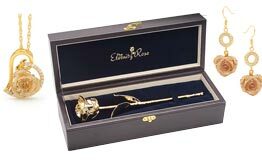 The leaves are 24 karat gold and glazed lattice, and the rose head and stem total around 12" in length. 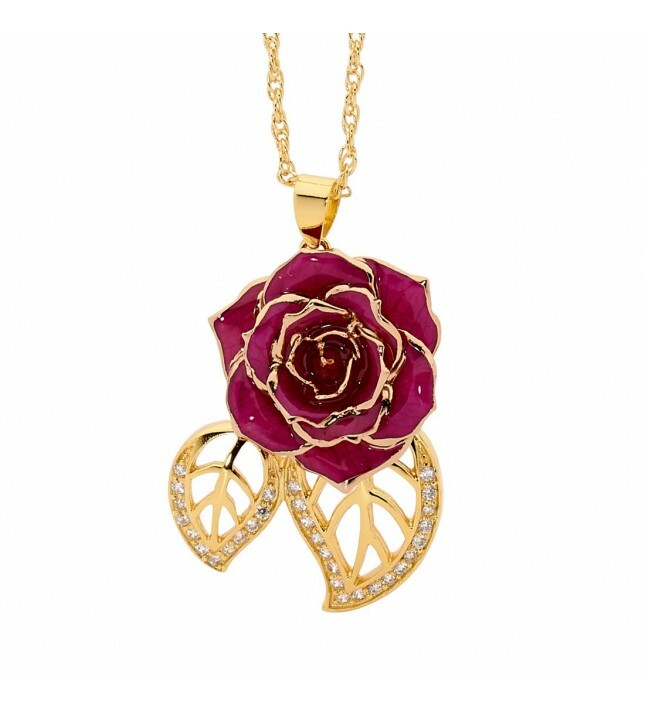 A stylish pendant formed from real natural purple rose petals that have been glazed and decorated with a trim of pure 24 karat gold. 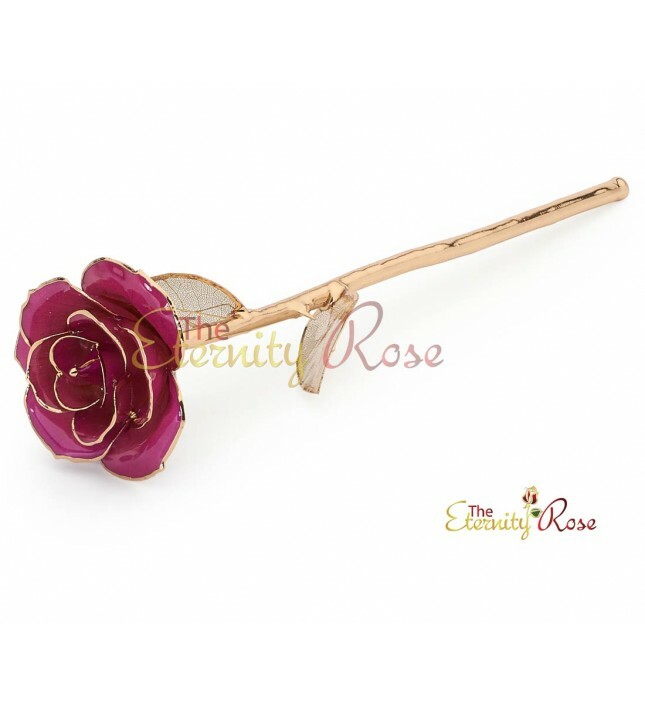 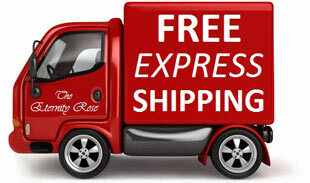 Featuring a 3/4" diameter miniature rose head, the pendant is 1 1/2" high overall and has a width of 1.1". 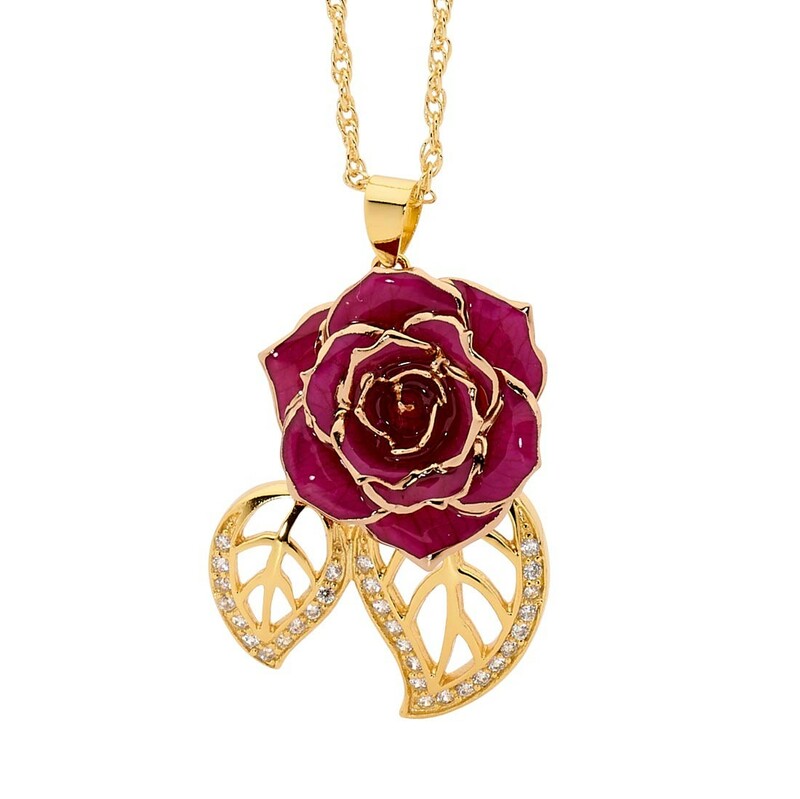 The rose pendant is complemented by two leaf figurines, encrusted with 30 synthetic diamonds and dipped in 24 karat gold. 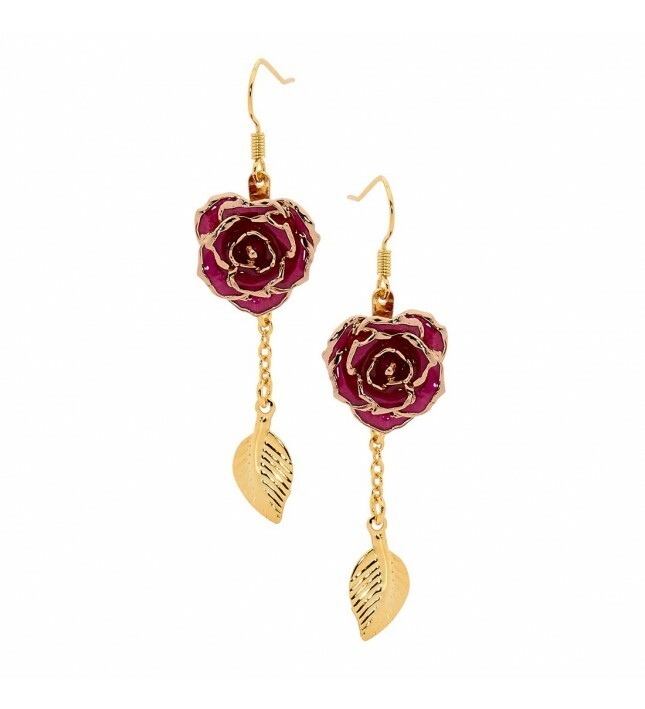 A pair of chic drop earrings that feature matching natural 5/8" diameter miniature purple rose heads that have been intricately glazed and trimmed with pure 24 karat gold. 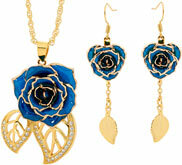 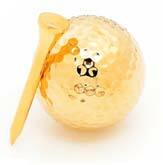 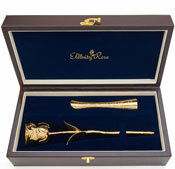 Including the beautiful gold-dipped leaf figurine, the total length of the earring drop is 1 1/4".